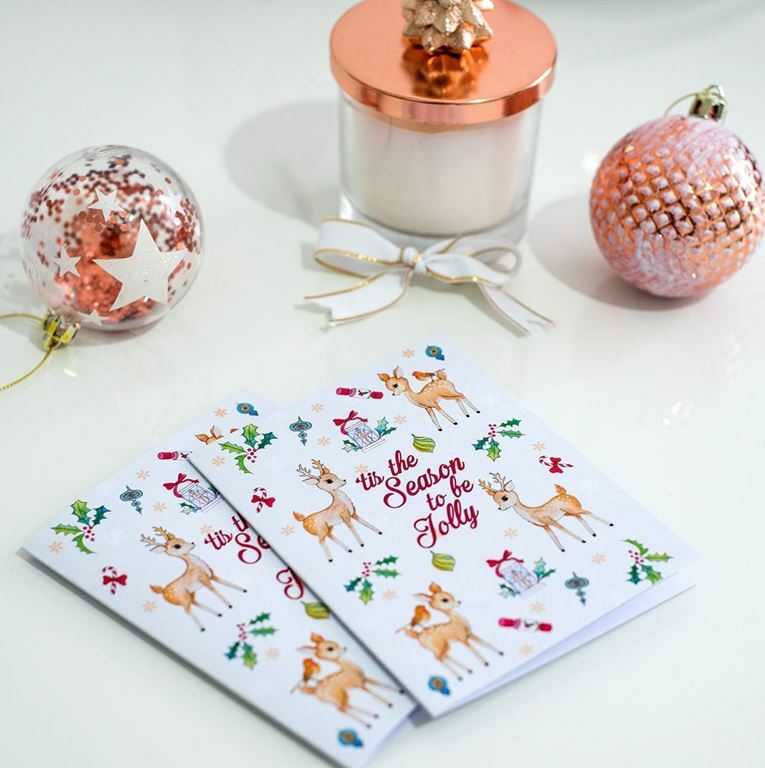 This season we have developed some of our most popular Christmas designs into cards too. This design was inspired by the vintage Christmas designs. The beautifully illustrated reindeers and the other elements were coloured using watercolours to add to the vintage look. The card itself is made out of 350gsm hard paper. The print goes only on the front and it has matte finish. It comes together with a small white envelope.